Rental Car Insurance - Gallant Risk & Insurance Services, Inc. 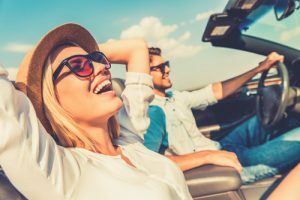 If you are planning to take a trip and want to rent a car, or need to move and want to rent a truck to haul your belongings, are you covered by your current personal auto insurance policy? 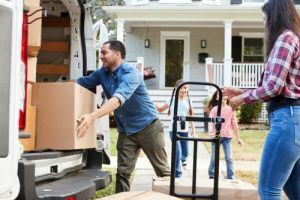 People often believe they will be covered in these scenarios, even when renting a multi-wheeled moving truck, but the answer is usually no. Should you opt for additional insurance coverage in these rental situations, or is it a waste of your time and funds? This blog will discuss your options and guide you through the decision-making process so you can make the decision that is right for you and your loved ones. To learn more about your car insurance and rental vehicle coverage, please contact our office by calling (951) 368-0700 or by filling out our online contact form. At Gallant Risk & Insurance Services, Inc., we want to ensure that whatever your rental needs are, you are confident in your insurance coverage. Most primary auto insurance policies cover accidents (minus any existing deductible), provided that the driver is on your insurance policy. Below is a brief description of what each part of a basic insurance plan covers. Our partners and team are happy to discuss the details of your policy with you if you have any questions. Liability insurance covers injuries and damage to property if you are at fault in an accident. Collision coverage handles repairing damage to a rental car from accidents or collisions with an object such as a tree or guardrail. The rental car collision damage waiver is typically a good idea, as it makes the circumstances much easier to resolve if an accident does occur. Ask your insurance agent if there are any exceptions regarding rental vehicles, as some policies do not provide full coverage. Comprehensive insurance typically covers damages due to theft, vandalism and acts of nature such as a tree falling or a fire. Homeowners or renters insurance covers stolen items (less your deductible). Credit cards often offer minimal coverage if used for the rental car transaction, so you may want to contact your credit card company and ask if they offer it and what limitations apply to rental cars. If you return your rental car with any damage, such as dents or a cracked windshield, you may incur “loss of use” expenses, which cover the rental company for their loss of profit during the time it takes to repair the vehicle. Administrative costs may also apply in this situation. If you are renting a car outside of your country, you will likely require a separate insurance plan for the transaction. Companies in the United States typically cover rentals in Canada, but may not cover rentals in countries such as Mexico, so it is best to check what your policy covers prior to renting a car. To ensure that your trip is safe and relaxing, it is best to check with your insurance agent and credit card companies to see what rental coverage you currently have to decide if you want to forego additional coverage or tack it onto your rental car bill. While you may determine that additional coverage is designed for rare scenarios, you will be educated and know what is covered in the event of an accident.